There is a plethora of research on the benefits of having a mentored relationship with a professor and being engaged together in an independent scholarly or creative project. 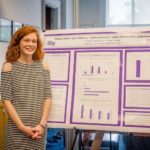 To be sure HPU students are experiencing those same benefits as the literature indicates we need to assess the experiences of our students. Hopefully, you completed the assessment survey about your skill sets and experience with research or creative works at the start of your project. Here we follow up with similar questions at the end of your project as well as questions about your perceptions of the experience so we have data on how the experience of doing mentored work impacted your undergraduate experience. Please be as honest as you can about your skills. Your data are confidential and no one will know your individual answers. Please answer the following questions about yourself on a 5 point scale where 5 means Always and 1 is Never. There is also the option to say the question does not apply to you (N/A). These last questions are open-ended answers. For one you are asked to prepare a summary of your work and upload it. Please describe your current academic and work career plans. How has this project been relevant to those plans? 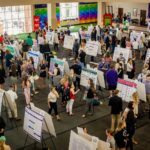 In addition to presenting your work at our High Point University Research and Creativity Symposium (High-PURCS) in Spring, identify any potential publications or presentations that will result from your work. You can check with your faculty mentor to identify venues to present your work. Upload (pdf or word document (doc or docx)) a 1-3 page summary report of your research or creative activity written for a general audience. Your report can include figures/and or pictures in addition to the narrative but should be counted toward the page guidelines. You may also direct the reader to a publication or website that has more information about the work. Describe the impact of this experience on your plans for graduate or professional study or employment/ career goals. How would you describe your relationship with your mentor? Did you find the relationship valuable? Are there any other comments that you would like to share about your research or creative experience that you have not had an opportunity to address elsewhere on this survey?